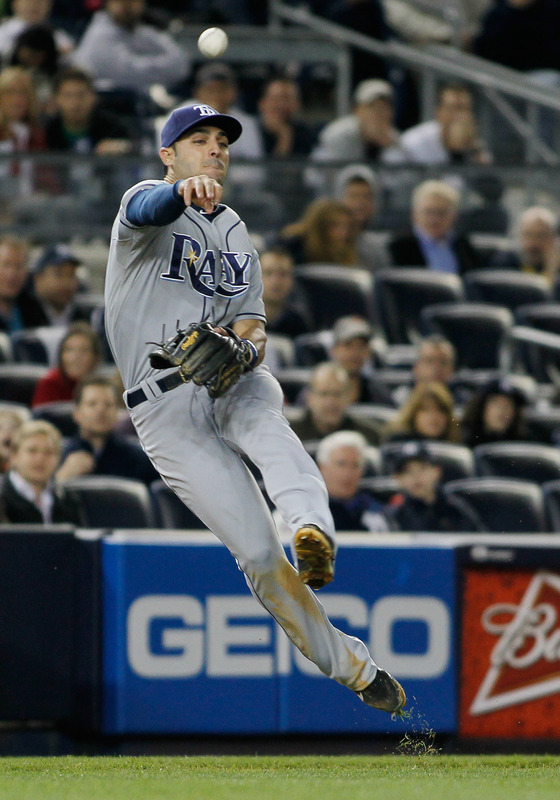 The more I read about this guy, the more I am liking the Rays possibilities in 2010. But the reality is now set in stone that the Tampa Bay Rays have traded for Rafael Soriano to man the back of the Rays Bullpen for 2010. And what a beautiful birthday present (Dec 19th) this turned out to be for Soriano that he got a bundle of money ($ 7.25 million dollars) and a chance to play in 74 degree weather for 81 games a year in Florida. I mean the minute I heard the deal was about to be completed, I started to do some research on the guy and found some thing I automatically loved and caused concern about the Rays new closer. But the true fact that he is not Troy Percival is the first good news I have heard in the last two seasons for the Rays Bullpen. Soriano is from the Dominican Republic, and as most players from that region, did not start out as a pitching prospect. He was originally signed as an outfielder before being converted to a pitcher. In 1999, Soriano was finally began his conversion into a pitcher while with the Everett and the move was considered an instant success as he finished his first season as a pitcher second in ERA and strikeouts, but also third in walks. Control would come with time as the young pitcher began to tweak his finger grips and learn the art of pitching. And his pitching progression showed in 2000 as he was boasted a 2.87 ERA and was considered the third best pitcher prospect in the Mariner’s organization in 2000. Soriano also surrendered only one Home Run in the 167 batters he faced that season. And during the 2000 offseason, he got his first taste of Winter Ball as he was selected to play for Escogido in the Dominican League. And his impression during his escalation through the minors was not missed by the Seattle front office which selected him from the Double-A San Antonio on May 8,2002 and he made his Major League debut against the Boston Red Sox on May 10th and earned his first MLB save in a 7-2 Seattle win. During 2002, he ended up only appearing in 10 games for the Mariners, but started 6 games during his tour with the big club. There is one thing that bothers me a bit about Soriano. Early on in his career he did show a pattern of getting injured when he first went down with a right shoulder injury while up with the Mariners on July 10,2002. and was put on the disabled list. Soriano suffered a strained oblique muscle in Spring Training 2004 and saw very limited action before the regular season. He then suffered another injury in May 2004 when while he was up with the Mariners he developed a right elbow strain. He sat out until July and tried to pitch during a rehab assignment with Triple-A Tacoma, but the pain came back in the elbow. Soriano was diagnosed with a ulnar collateral ligament tear in the elbow and Dr Lewis Yocum performed Tommy John’s surgery on the aliment on August 17, 2004. Soriano spent the rest of the 2004 season rehabbing from the surgery and after multiple rehab assignment in the minor leagues, finally returned to the Major Leagues on September 10,2005 for the Mariners and stayed with the club the rest of the season appearing in seven games that season. Soriano ended his season right by not allowing a run in his last five games of the season. During the 2006 season you might have remembered Soriano as the pitcher that got clocked in the right ear off a line drive from the bat of Angels slugger Vladimir Guerrero during the eighth inning August 29th contest at Safeco Field between the Angels and Mariners. Mariners Team Medical Director Edward Khalfayan said that Soriano was hit right beyond the right ear region and he never lost consciousness before being transported to Harborview Medical Center for further testing. Soriano spent the night at Harborview after suffering a concussion, but was finally released the following afternoon. But the Mariners took a cautionary route and Soriano did not pitch again in the 2006 season. Prior to the August 29th incident, Soriano spent time on the DL for right shoulder fatigue before being reinstated in early August. That would be his last appearance for the Seattle Mariners as he was traded to the Atlanta Braves on December 6,2006 for fellow reliever Horacio Ramirez. Soriano has been known to throw the ball in triple digits before, but suffered in his first season with the Braves setting up Braves closer Bob Wickman. After seeing Soriano begin to emerge in the Bullpen and Wickman starting to show regression, the Braves made a move in August 2006 by designating Soriano into the closer’s roles and designating Wickman for assignment. But the drama was not over for Soriano in 2006. In September during a game against division rivals, the Florida Marlins, Soriano drilled Marlins second baseman Dan Uggla with a pitch and drew a four game suspension from the National League front office. After appealing the sentence, it was reduced to two games, but Soriano ended his first Braves season with mixed reviews providing a 3-3 record and a 3.0 ERA for the season. Soriano had stayed relatively injury free during his first two seasons with the Braves before finally feeling some right elbow pain, and went on his first stint on the DL with right elbow tendinitis during May. Soriano suffered another setback during the season and was activated from the DL on July 27th. Eventually, Soriano went back on the DL on August 3, and stayed there for the rest of the season. On August 28th, Dr James Andrews performed an ulnar nerve transposition surgery and removed some bone spurs from Soriano’s elbow. The 2009 season was the first injury free season for Soriano in a long time. 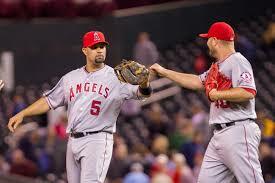 And his level of play did increase dramatically as he held righthanded batters to a .138 average during the season. He also converted 27 of 31 save opportunities while holding a 1-6 record on the season. But the season also saw new career highs in strikeouts (102) and innings pitched (75.2) to show that when healthy, Soriano is one of the rising closer stars in the Major Leagues. During his three season with the Braves, Soriano might have only compiled a 4-10 record with 39 saves, but he gained valuable experience during the season gelling into the closer’s role for the Braves. And even if he only has three pitches in his arsenal, Soriano’s fastball maintains a consistent velocity in the upper 90’s, and has hit triple digits a few times last season. Combined with his hard-biting slider(81-84 mph) and a seldom used change-up(84-86) that he usually reserves for hard hitting left-handers. cited and looking forward to a closer taking it to the house for the Rays, then get saddened quickly by a sudden or hidden injury situation. Maybe that is what is wrong to me about this trade. I like the pitching statistics of Soriano a lot, and really want him to be effective and healthy in 2010 for the Rays. But I was also excited to see what hard throwing reliever Jesse Chavez could do for this squad in 2010. It is an upgrade in instant talent, but for some odd reason, Chavez to me felt like a better long term addition. But with the horrors of the “Percy” era still fresh in my mind, along with the wasted millions of dollars spent on him sitting in California on his duff while this team struggled without a bona fide closer. I am a bit more cautious to throw out the arms and welcome a closer now. Especially one who has only had one legitimate healthy season after several trips to the diasabled list in the past. I truly hope that Soriano proves me wrong within the first few weeks of 2010. I want to again believe that we have a viable closing option on the Rays and that the “closer-by-committee” concept is thrown in the trash can and burned forever. But it is still funny to me the recent quote from Rays team owner Stuart Sternberg that this team payroll would not allow for a $ 7 million dollar closer. And he was right. But as is always the way with the Rays, irony had the last laugh as now we have a new $ 7.25 million dollar closer to put out hopes and playoff dreams upon in 2010. As you might remember, during the off season I am going back over the 650 blog posts since 2007 and trying to find postings that I think were special over the years. Since the Rays news does get a little short this time of year, it was a way for me to still post daily and also give some of the newer bloggers a chance to see how my style has changed over the years. I picked this blog from my archive for today because it not only shows the writing style I was using in 2008, but it is a special moment in Rays history. With B J Upton finally getting the first cycle in Rays history on October 3,2008, I wanted to focus today on one of the past pitching performances by one of the Rays emerging starters. In this series ending game against the Florida Marlins, Rays starter Matt Garza basically served up only one mistake all day long, and the Marlins shortstop Hanley Ramirez deposited it into the leftfield stands for the only hit,and run of the game for his team. 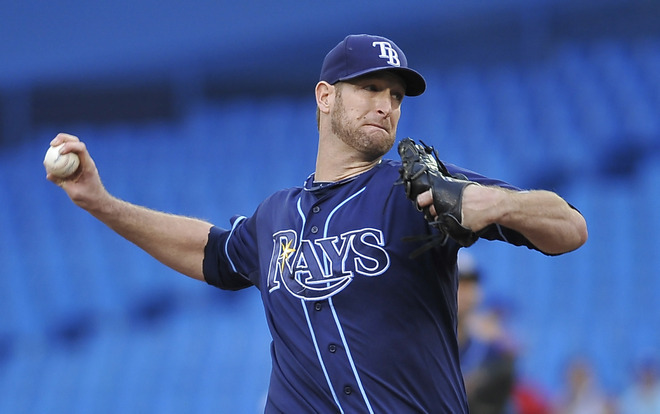 It was one of the most dominating efforts by a member of the Rays starting rotation in 2008. The blog was originally posted on June 26,2008. It was reported yesterday by the Montgomery Advertiser that Tampa Bay Rays pitching prospect Jake McGee will undergo season ending elbow surgery next week. The Biscuit starter was originally put on the Disabled List a few days ago, but an MRI revealed a torn elbow tendon and a Tommy John’s surgery looks to be in McGee’s not to distant future. This could have been a huge blow to the Montgomery Biscuits chances for a third straight SAL title, but the Rays quickly promoted David Price and Jeremy Hellickson several days earlier from Class-A Vero Beach and both pitchers’ should fit into the Biscuits rotation. McGee will fly to St. Petersburg to meet with Rays orthopedic doctor, Koko Eaton, and was also scheduled to see Dr. James Andrews after the weekend to get a second confirmation on the diagnosis. 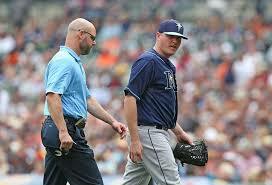 If McGee requires Tommy John’s surgery, McGee will be lost for up to a year and a half from the Rays Farm system. 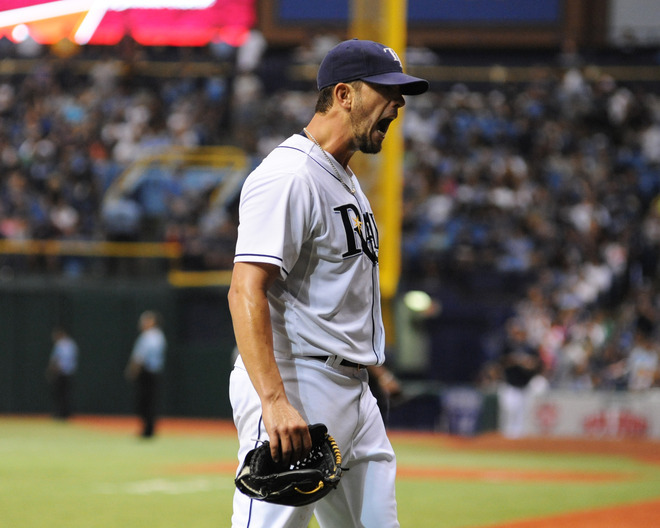 Rays starter Matt Garza (6-4) will remember this game against the Florida Marlins for a very long time. Not because he got his 6th victory of the season,and the first complete game of his career,but for one floating slider that could have brought him a special place in Rays history. There is still no doubt that the sweep in the Inter-League series by the Rays over the Marlins in Miami made for a fantastic airline flight to Pittsburgh, but what might have been will be in Garza’s head for a few days. On the first pitch from Garza that Marlin’s shortstop Hanley Ramirez saw in the bottom of the 7th inning,Ramirez drilled the hanging pitch into the seats just above the huge scoreboard in the leftfield bleachers. It was the only pitch that Garza would want to take back all day long. And the errant pitch not only cost Graza his chance at a shutout, but a spot in Rays history and immortality by throwing a no-hitter. The Rays are now a franchise high 15 games over .500, and have posted 4 more wins than any other season before the All-Star break. They are also 7 ahead of their pervious best record after 77 games. The Rays have been above .500 for 57 straight days this season and 61 total days for the 2008 season,both marks are Rays club records. Prior to the 2008 season, the Rays had been above the .500 mark for only 72 days combined in the teams short history. Rays rookie Evan Longoria has been given many nicknames in the last few months,”Evan Almighty”, “The Natural”, and “Longo”. The last one nickname seems to be a wild reference to an Alex Karas character in “Blazin’ Saddles,” and Evan might just be molding himself to represent a fine reputation to continue hearing the new nickname. 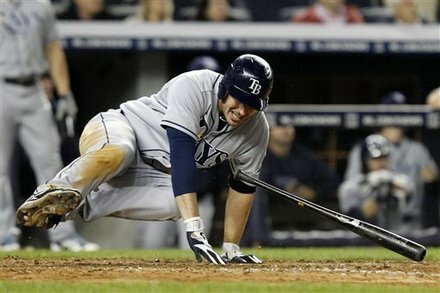 Longoria is one of the main weapons and reasons this years Rays team has been on a winning roll the past two months. Since coming up from the Triple-A Durham Bulls, the Rays have been pretty hard to beat most nights, which has been a rareity in Tampa Bay Rays history. Longoria had three hits on Thursday night (two doubles and a home run) in the Rays’ win, after notching three hits (a single, double and homer) in Tampa Bay’s 15-3 win over the Marlins on Wednesday night. Longoria is the fourth player in Rays franchise history to have consecutive games with at least three hits and one home run. The other Tampa Bay players to do that were Aubrey Huff (2004), Jorge Cantu (2005) and B.J. Upton (2007). The Rays now have a 9-5 record in Inter-League play this season, the team’s highest win total since 2006 when they posted 11 wins in the Inter-League series. With a sweep in Pittsburgh they could establish another Rays club record for total victories during Inter-league play. Along with Longoria and Garza’s efforts, the bat of back-up catcher Shawn Riggans showed some real promise in the game for the Rays. Riggans, who has seen very limited action this year with the emergence of Dioner Navarro. Riggans responded today by going 1-3 with 3 RBI’s for the Rays. Riggans got his first RBI on the day after a sacrifice fly in the second inning to score Upton from third base, he then hit a RBI-double to deep centerfield in the 5th inning to score both Upton and Longoria. Riggans also called a great game behind the plate for the Rays. Garza only ran into trouble a few times the entire game and Riggans worked a magical game calling the pitches. Garza walked one lone Marlin, Jeremy Hermida in the 4th inning. Rays shortstop Ben Zobrist hit his second homer in two days in the 8th inning to complete the scoring for the Rays. Zobrist is now hitting .292 since coming up for the Rays from Triple-A Durham. With the expected return of both Jason Bartlett and Carlos Pena on Friday in Pittsburgh,the Rays will have to make some roster moves before the Friday night game. I am perdicting we will see Troy Percival go on the Disabled List for another 15 days stint, and this time it will not be his decision. If this does not happen,another Rays reliever will have to be sent down, or possibly put on waivers. Based on his recent numbers and the extra dose of experiece this year, Rays utilityman Ben Zobrist might be the odd man out unless a trade can be reached for another infielder on the team. 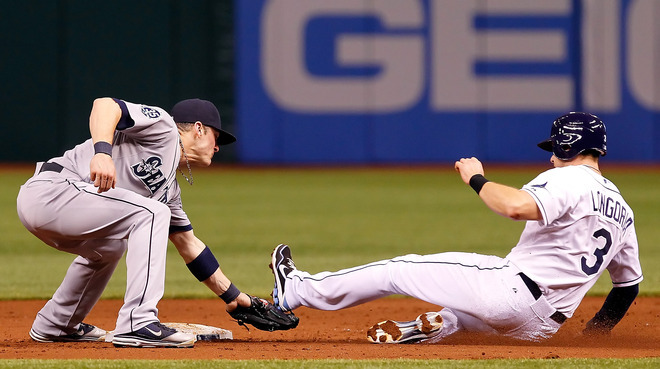 I know that Zobrist needs consistency in his routine,and it is a shame he might have to be the fall guy this time. Zobrist has only been off the Disabled List for 7 games now,both in Durham and Tampa Bay. And Zobrist might need some more seasoning to get in great game shape for this team. Tonight the Rays start a 3-game Inter-League series in Pittsburgh. At this time,I want to tell you about a wild and unique thing they do in the Steel City before every Pirates game. They close the Roberto Clemente bridge to automobile traffic and let the Pirates patrons walk the bridge to the stadium. It is one of the truly “must do” once experiences in baseball at least once in your life. You get to travel the roads on foot to the ballpark before and after the game…..without dodging any automobile or motorized traffic. The Rays are visitng PNC park for only the second time in their brief history, starting off when they lost 2 out of 3 in June 2005. They are currently 2-4 All-Time against the Pirates during the regular season. , a 13th-round Draft pick in 2003, will be making his first Pirates appearance when he takes the mound for Friday’s start. The right-hander has combined to go 4-5 this season with a 4.04 ERA in 10 Double-A and five Triple-A starts. In his most recent start, Barthmaier threw six innings, allowing only one run on four hits and striking out eight in the game. Barthmaier has shown better control with both his fastball and breaking ball since being promoted to Triple-A in late May, allowing just six walks in 31 2/3 innings. Look closely at the picture above of Barthmaier. Is it just me, or are there not color to his pupils in the picture. Might be a Vulcan robot plant to supress the Rays victory celebrations. Just Kidding,he might just have some wild contact lens for game days. Can we get the entire pitching staff a set of those Joe? No really can you? It could be a nice distracting measure to see only the “whites” of your eyes all night long on the mound. 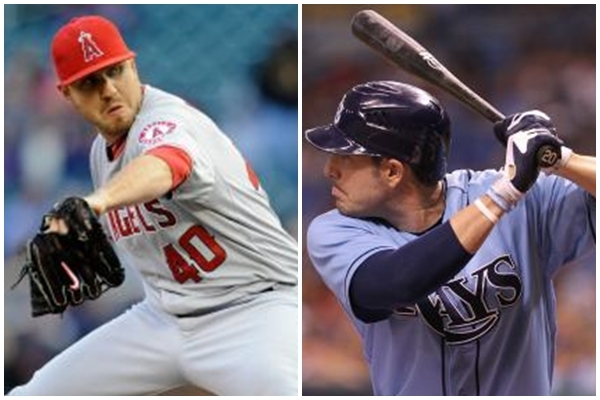 Within the next few days the Tampa Bay Rays will have to make some critical decisions on three members of the team. They will have to either consider accepting or declining club options on three members of the 2009 roster. Carl Crawford ($ 10 million), Gregg Zaun ($ 2 million) and Brian Shouse ($ 1.9 million +incentives) all are currently being looked at forward and back, and inside-out for pluses and minuses by the Rays. And more than likely, only Crawford could end up the only club option is picked up by the Rays. Crawford’s $ 10 million option is pretty comparable on the open market with outfielder who are within their prime and he is considered a value at that price right now. And the announcement during the last few weeks of the season that Crawford would be willing to talk about even lowering that price tag and extending his contract again must have had the team giddy with glee. But it is the other two club options that might be more of a time consuming decision by the team. Because if the Rays accept either option, it might send into effect a landslide of changes for the Rays roster even before Spring Training. And of the two club options, it seems to me that Zaun has done a great job with the Rays starting rotation and getting acclimated to the Rays system in his short time with the squad. I consider him an upgrade in the catching department both behind the plate and in the batters box for the Rays. And if the team does pick up his option, it will possibly be a signal to current starter Dioner Navarro that he might have a rough road going through arbitration this year and might even be considered a possible Rays non tendered candidate? Zaun’s .259 batting average is 40 points higher than Navarro’s season ending .218. But an interesting point might be that Navarro had his highest batting average( .231) on April 13th, while Zaun has hit .289 since joining the Rays and .308 against right hander since the trade. And if you look at their defense, Zaun wins that battle hands down. Zaun is a jack-in-the-box behind the plate attacking every ball in the dirt and trying to smother or keep them in front of him. He might have only thrown out 11 of 51 base runners this season (21.6 %), but it is only slightly below Navarro’s (23.8 %) mark for the season. So this decision might be more if the Rays want to have an aging catcher (38 years old) behind the plate and might make a decision on the Navarro era with the Rays. And considering Navarro is up again for arbitration this season, could his salary which has been estimated at around $ 2.5 million be an upgrade over Zaun’s abilities. And considering that Navarro’s agent made it a habit to pester the Rays front office with phone calls and emails showing his clients stats, maybe the Rays will turn their back on Navarro and look elsewhere for catching help. I see the Rays picking up Zaun’s $2 million option because it might be time to make a change for the Rays. Catching was not a huge disadvantage for the team in 2009, but a upgrade and a change in personnel might be needed right now. And Zaun is a veteran presence the Rays need to support and work with this young pitching staff and fine tune them a bit more in 2010. And the other option to be considered by the Rays might have actually been decided before the season was even concluded by the way Brian Shouse portrayed it me when I gave him congrats for reaching his incentive numbers. Shouse gave me the off-the-cuff indication that he felt he might not be with the team, but held out enthusiasm and hope for a different scenario. 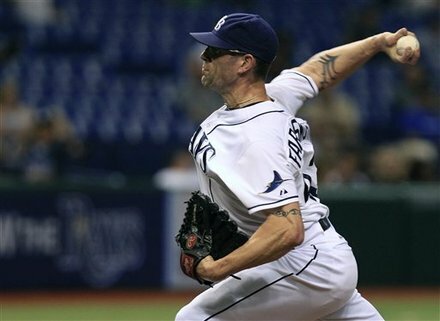 Considering the team lost Bullpen members Chad Bradford, Troy Percival and Russ Springer who close to go to the free agent market, the Rays Bullpen will again be a work in progress going into Spring Training. 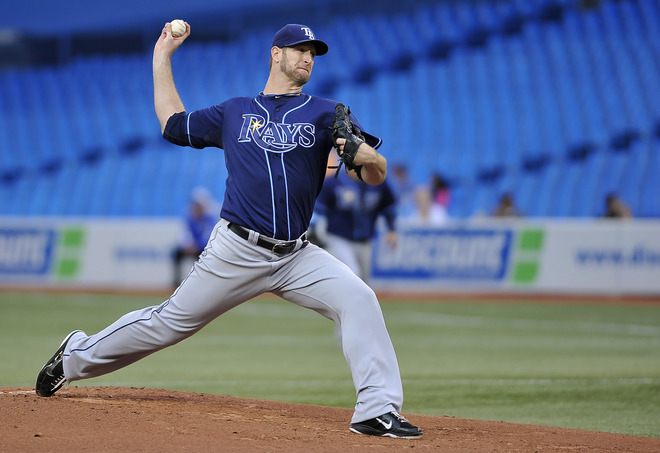 And considering that Shouse did prove to be an effective left-handed specialist for the Rays, this decision might come down to his option amount and if the team think that leftie reliever Randy Choate can perform in this role in 2010. Choate is arbitration eligible, and might command only about $ 1.2 million in arbitration. And if the Rays do indeed decide to keep Shouse, Choate might be considered trade bait or even non-tendered. And here lies the difficult decision for the Rays. 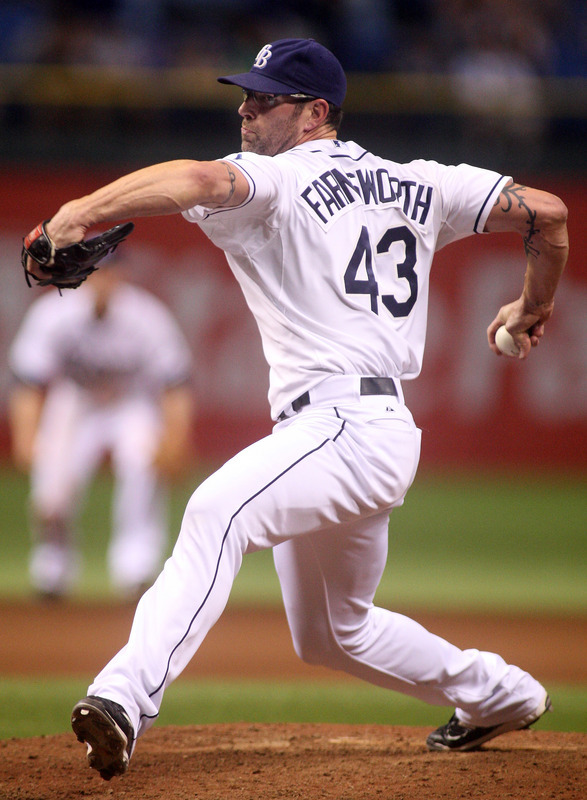 Shouse will be 42 near the end (Sept 27) of the 2010 season, and is already the oldest pitcher to grace a Rays roster. Does giving him a possible $1.9 million plus his incentive be considered a sound investment for the Rays? Combine that with Shouse holding lefties to a .224 average and holding his opponents scoreless in 21 of his last 24 appearances, Shouse still has the ability to do the job. But the emergence of Choate late in the season while Shouse was on the disabled list with a left elbow strain, it might bring the decision simply down to who the Rays think can do the job in 2010. I have feeling the Rays might dwell a bit on the fact he will be 42 before the end of 2010, and will decline the club option for Shouse. And the buy-out options for both players is not a huge amount, and might also play into the Rays decisions. They currently have until November 11th to make public their decision on Shouse. 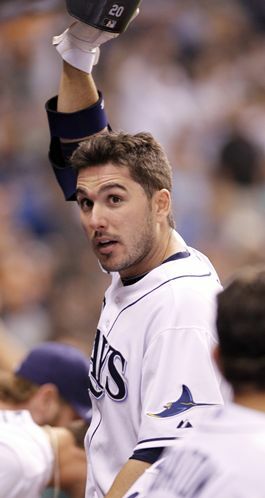 And if he is not retained by the Rays, he will be given a $ 200,000 buyout. But the decision on Zaun needs to be made on Monday, November 9th, which is 5 days after the end of the World Series. If the Rays do not intend to keep Zaun on their roster, it will cost them $ 500,00 or 25 percent of the salary he would have commanded in 2010. And you have to take the delay on the announcement of the club option on Carl Crawford as a positive sign that things are being discussed behind-the-scenes, and that a decision will be announced soon on the Rays plans for Crawford in 2010. The decisions made over the next few days by the Rays will not totally sculpt their roster for 2010, but it could indicate the direction and the possible intentions of the team in the free agent and trade markets over the Winter months. You would love for the team to take all three players back into the fold and retain the chemistry that existed at the end of 2009. But the financial realities of the Rays payroll make this kind of a fairy tale and not a reality. Hopefully the Rays front office is working long and hard on their decisions concerning all three players, and that whatever looms in the future for any of them, that the decision will be for the good of the team and be received with the zeal that the team is again striving to be a player in not only the American League East, but in the chase to the 2010 World Series. 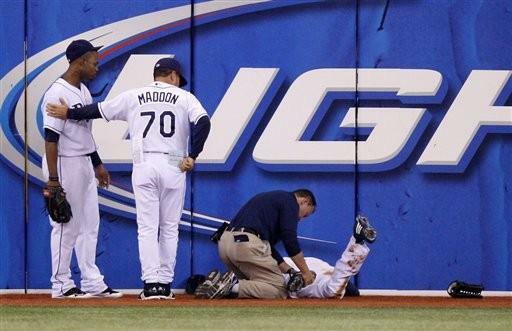 I know a lot of Tampa Bay Rays fans have been a bit anxious and upset at the recent development over the last part of this 2009 season where it seems that Rays Manager Joe Maddon is wearing out the turf from the mound to the dugout sometimes changing a pitcher three times in an inning. For all the clammering and yelling towards the dugout to stop the madness, there is actually a good reason for his “match-up” formula, and the more you really look at the number, the more it seems to make sense in the long run. Maddon would love to have that classic Bullpen set-up where you have that designated 7th, 8th and closer to round out the game. But with the injury to Troy Percival, and his shutting down his candidate-of-the-day J P Howell, he is apt to continue this wild stroll to the mound over the next 4 games. If you have noticed over the last three games, Grant Balfour right now is the closer-du Jour, and he has come away with three solid saves in the last three games. Now this doesn’t mean he is going to get any notion of becoming the Rays closer, but the true fact that Maddon does look over the opposing line-up before the game with an eye towards the later innings. And in that time he does do a bit of matching-up on the back of his scorecard based on lifetime averages against some of his guys, and their ability to get outs from left or right-handed batters. And so far in this wild experiment, the prognosis has not been bad. So let me take the 8th and 9th innings of the game last night and break them down a bit more and see if I can make it a little more easy for all of us to understand when he begins his Bullpen Blitz again tonight during the Baltimore Orioles game. But first off, let me remind you that the pattern does change for every game, and for every batter. Starting with the 8th inning, the Rays send out Russ Springer to start the inning to go up against Ty Wiggington. Now tonight is the first time either of them have faced each other in their long careers. This match-up really seems to be based more on a feel by Maddon than an actual scientific fact since Springer is allowing lefties to hit .342 against him this season, and righties hitting .268. But he gets Wiggington to line out to centerfield for the first out. Russ Springer relieved by Lance Cormier. Cormier comes into the game with a sub .250 average aginst both left and right-handed hitters this season. He is one of about three Rays relievers that Maddon might have total confidence in him battling against guys from either side of the plate. Cormier’s actual stats are that he is allowing lefties ti hit .243 against him, and right-handers have hit .255 against him this season, and both side have 3 home runs this year. First up is Nick Markakis, who was 0-2 against Cormier this season before taking the fourth pitch and getting an infield single off a hard shot to Reid Brignac at shortstop. Up next is Luke Scott, who has faced Cormier two time prior to tonight and has only gained a walk from Cormier. Scott ends up hitting a fly ball out to leftfield to get the second out of the inning. Next up for the Orioles is young catcher Matt Wieters. In 2009, Cormier has faced Wieters only one time, and that was here in Tropicana Field when Cormier struck him out. In tonight’s contest Wieters takes 3 pitches before he grounds out to Ben Zobristat second base to strand Markakis on base and end the scoring opportunity for the Orioles. Maddon sends his veteran reliever Dan Wheeler to the hill to begin the 9th inning. The first man to face him tonight will be Melvin Mora. The reason that Wheeler is on the mound is because right-hander, like Mora are hitting only .154 against him in 2009, and against the first batter in his appearances, Wheeler is allowing them only a .161 average. But a side note to worry about in this at bat is the fact that Mora is hitting .500 off wheeler this season. But Maddon is rolling the dice on that .161 average allowed to the first batter Wheeler faces tonight. On the second pitch, Mora singles to leftfield. Maddon then quickly gets Wheeler off the mound since the next batter is leftie Michael Aubrey. The reasoning here is that wheeler is allowing lefites to hit at a .310 clip against him in 2009. So on comes Randy Choate to face the young leftie. Choate actually is the perfect guy to face Aubrey as he is allowing lefties to hit only .151 against him this year, with only 1 home run. Choate gets Aubrey to strike out swinging in their only meeting this season. Orioles Manager Dave Trembley then pinch Hits Lou Montanez for Jeff Fiorentino. And the mind games get to be played all over again by both managers. Montanez has not faced Choate in 2009, but the fact he is a right-hander, and righties are hitting .306 with 3 home runs against Choate gets him an early night for the Rays. Maddon again makes his way to the mound and take out Choate so that Grant Balfour can face the right-hander. e strikeout. For the season, Montanez is 0-2 now against Balfour. Since Balfour is consistent between hitters from both sides of the plate, Maddon will leave him in the rest of the inning. Next he will face shortstop Cesar Izturis. Balfour has the upper hand on Izturis as he is 0-2 against him so far in 2009. But it is Iztruis, who swings at the first pitch and sends a fly ball to centerfield that B J Upton gloves to end the game. Balfour also recieves his hris save in three games for the Rays and might be the 9th inning guy for the Rays in their final 4 games. The system emplyed by Maddon makes more sense when you look at the fact he also shut down one of his other great pitchers at getting guys from hitting from both sides of the plate. When he set down J P Howell for the rest of the season, he lost his current closer option, and also lost a pitcher who has allowed righties to hit only .180 against him this season. Other guys on the bench for the Rays are more situated for spot work the rest of the season. Take for example Jeff Bennett. Right-handers are hitting .333 (7-21) against him this season, and lefties are killing him at a .500 clip (14-28). So his use will be dictated by individual match-ups the rest of the season. Bennett was actually brought onto the squad as a insurance policy for long relief, but he was one of the main pitcher in that blowout last week in Texas. Dale Thayer was not brought up for his facial hair, but was also considered a insurance policy for any possible problem that might happen with any of the Rays relievers. And it is a good thing they did bring him up, because Chad Bradford is experiencing elbow pains again and is done for the season. 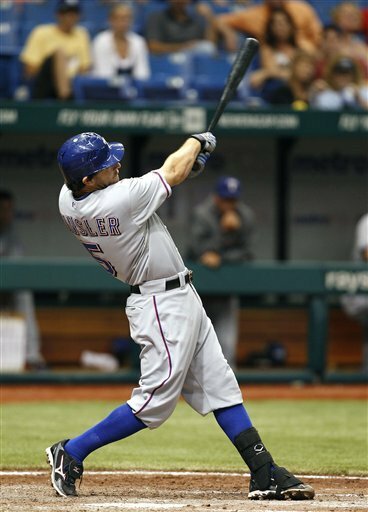 But Thayer is also learning the ropes at the Major League level, and has been hit by righties to a tune of a .345 average this season. He does have some good stuff to punch lefties back to a .250 average against him in 2009. 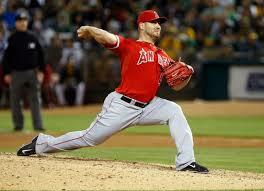 But Bradford has been used only 10 1/3 innings this season as he has been battling injuries. But also the fact he has given up some really gaudy numbers to both sides of the plate this year is another eason he has seen spot appearances this season. Against righties, they are hitting .391 (18-46) against him, and lefties just begin to salivate when he takes the mound as they are hitting a robust .800 (4-5) against him in 2009. So the match-up scenario used by Maddon right now is the best possible option to try and post a victory every time out for the Rays. It might not make much sense when you are sitting in the stands or watching on the TV that he uses 5 different relievers for a total of two innings. But the end result in the last three games have been victories. This is not to mean that this is going to be a indicator of a system that will be empolyed in 2010. This match-up system is only being used now out of necessity because we do not have a proven late inning trio to take the Rays from the 7th to the 9th inning every night. The Rays do not have a Mariano Rivera or a Jonathan Papelbon in their minor league system at the time, and might have go outside the organization for one in 2010. And isn’t it ironic that the two best closer in the league tend to be in our division. Maddon is adapting to the cards he has been dealt, and even if it is frustrating to the guy sitting in the stands, it does have some logic to it all. I also found it frustrating until I began to look at the numbers associated with each reliever and their breakdown against both sides of the plate. Sure it might be all science and a hitter can get a lucky break of a hanging curveball. But the relaity is that the system is working for Maddon right now, and it is producing wins for the team. It is not a cure-all situation, but is a nice substitute measure that he can emply for now until we can again try and shore up the Bullpen for 2010. When the Rays visited the Los Angeles Angels this past week they got some good or bad news depending on how you see the situation. 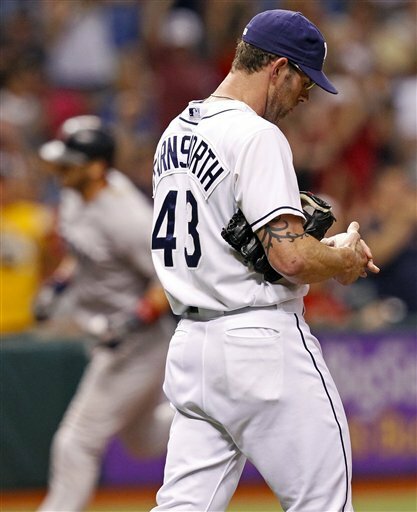 During their 3-game series, Rays closer Troy Percival finally admitted to the media and his teammates what most of us knew the moment he went on the Disabled list on May 22,2008 with shoulder tendinitis. I take it as no huge surprise that he did retire, but I am so curious on why it took so long. And adding to that is the fact he has not started his retirement papers, probably waiting to see what might happen with the Rays in their chase of the postseason in 2009. I know he can not and will not be added to the roster for the playoffs even if they make it again this season, but the fact he might be holding out for the last crumb of his 2-year $8 million contract might just be added incentive to delay the paperwork a few months. And this can finally end the speculation and the drama involved in why we have seen him only once since he went on the disabled list in late May. The only other time I have seen him in uniform for the Rays was on Saturday, June 1st, the same night as the Rays post game Three Doors Down concert. I got some exclusive photos of the recluse closer as he came back into Tampa Bay to discuss his rehab plans with the team. But I guess with a guy like Percival, you have to take the good with the bad. But there are a few situation that rubbed me the wrong way about the feisty closer. Believe me, I appreciate the 28 saves he got the team in 2008, and that the team posted a 34-1 record when he hit the mound, but some of the negatives should also be sounded out today. Those 28 saves were the fifth largest amount in Rays history, but Percival also only had 1 save after August 13th. Add onto that the fact he collected 19 of those saves and posted a 3.54 ERA before the All Star break. 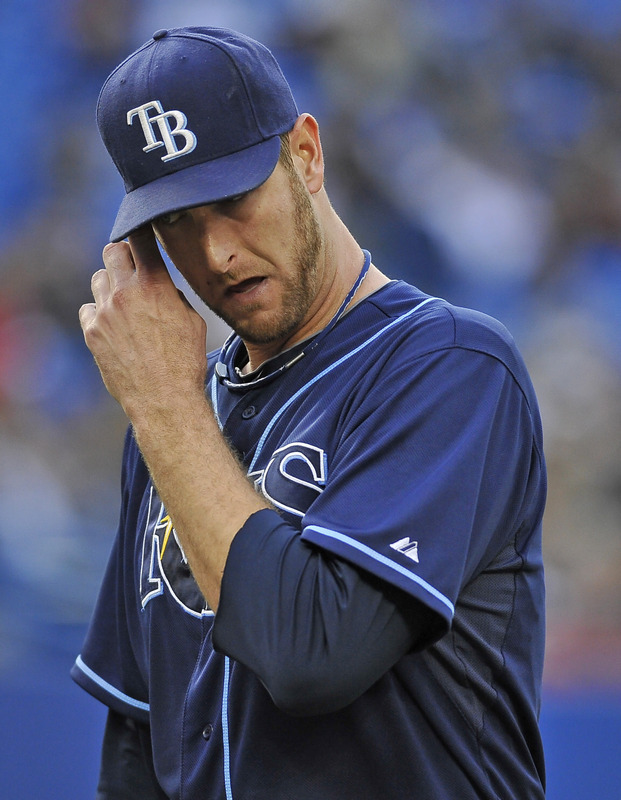 After the All Star break, he only saved 9 games and posted a 6.11 ERA for the Rays. And that 34-1 record can be a bit deceiving at times. Sure they won 34 games when he hit the mound, but people forget he did blow three saves during that stretch and the Rays offense ended up getting him off the hook for the loss. The only loss suffered in that span was during a September 6, 2008 game in Rogers Centre, in Toronto where current Ray Gregg Zaun hit a grand slam home run off Percival to seal the Blue Jays win. But another situation might keep Percival’s name on Trivial Pursuit games for the rest of time. Anyone sitting in their seats on September 3, 2008 at Tropicana Field will not forget this game any time soon. In that contest against the New York Yankees, Percival took the mound in the final inning and faced Alex Rodriguez. what ended up happening will keep the Rays and Percival on the tips of people tongues for a long time. Percival threw a hanging breaking ball out over the plate and Rodriguez hit the ball high and over the leftfield foul pole. The umpire crew could not effectively call the shot and went to perform the first Instant Replay decision in MLB history. The replay result ended up upholding Rodriguez’s 549th career home run in the game. But some of Percival’s action both on the mound and around the Rays in 2008, and this season did get me to question is commitment to the Rays seasons and their ultimate goals. The first might have been after his last DL stint with his injury to his right knee he seemed to disappear from sight from the Rays. This does not mean he just did not come out to the Bullpen, or even consort with his team, but disappeared totally from sight right after the season ended. Sure he was left off the Postseason roster because of his injuries, but his value to the team then should have been as a clubhouse leader to this pack of guys who had never made it to the playoff before this season. He could have done some work in the Bullpen just sitting there chatting with your relievers Grant Balfour and J P Howell and mentored them a bit of the difference in postseason and regular season late game strategies. Instead he was probably home in Southern Cali relaxing in the leather recliner watching TBS. And because he did not have his knee operation until after the playoffs were concluded, there was no reason he could not have still been there for his teammates. Jonny Gomes and Chad Orvella also were not on the post season rosters, but both were there in the dugout with their team mates all throughout the playoffs. It seemed a guy who was a former coach and also a veteran of playoff games would know his expertise would be a true treasure to the Rays relieving corps, but he was not there for them. And that was only the first thing that upset me about Percival. The second was the way he used to disrespect his manager Joe Maddon on the mound. I understand passion and a fighter’s mentality of not backing down, but to be focused in by television camera and you can read the words coming off his lips to his manger are unacceptable. The only that has stayed in my mind was this season in Baltimore when Maddon went to the mound and did not even get to Percival before the argument had started and both men were seen jawing at each other in heightened voices until Maddon ended up taking the ball from Percival. Add that to the public display that came after the Sunday May 4th game in which a fan did not see Rays third baseman Evan Longoria coming into the third baseline seats just beyond the visiting dugout for a foul pop up. The ball ended up only going about three seats deep and Longoria did come over for the ball and did not voice a peep to his intentions. A fan in that area then made a play on the ball not hearing any vocal announcements and kept the ball from Longoria. Now you have to consider that first, the guy was not looking at Longoria and was trying to get the ball for his 6-year old son. Granted, if Longoria had made some sound, the guy might have pulled back from the ball and this sutation might not have happened at all. rds the fan by Percival as uncalled for as a professional athlete. Sure the guy made a mistake, but you just saved the win for the team and the guy might have gotten the message. But for Percival to deliver gestures and a few blue-colored words is beyond professional. But what did I expect out of a guy who says the same thing to his team manager. But since Percival had left the team in 2008 after going on the DL late in the season, why would I think the situation would change in 2009/ When the team did put him on the disabled list on May 22, I like so may other Rays fans knew that he would not be back. Something told me that moment that the closer was not going to be able to rehab his back situation in time to be productive for the team in 2009. He appeared in only 14 games this season garnishing 6 saves and a 6.35 ERA. Now we all know this is the second year of his $8 million contract, and even if he was put on the DL, he would get that contract fulfilled by the Rays. But from the moment he went on the DL, to his announcement on Tuesday, we never knew 100 percent where he was headed, or what he might do in the way of rehab or trying to get back to the Rays roster. “I still wish I was out there playing and what have you,” he said in an interview with the St. Petersburg Times, ” but at least my mind is clear that I know I just physically can’t do it.” Adding to that statement was the fat that up until a month ago he had not even comtemplated any Bullpen sessions to see if he might indeed have to finish his dreams of retuning to the mound. Percival said he began Bullpen session about a month ago after a call from Rays Vice President of Baseball Operations Andrew Friedman, but after 6 sessions over a Friday-Sunday schedule he knew what the outcome was going to be for him. 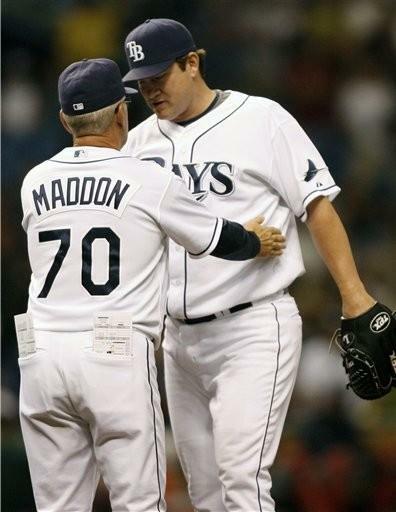 But even with the announcement that he will not be back with the team again in 2009, Rays Manager Joe Maddon think the team should have a special day for Percival to ‘celebrate what he has done for the club.” What? Are you serious Joe? You want me to celebrate a guy who will not put in his retirement papers until after the season to garner the last $1 million on his contract. You want me to again show some sort of hand clapping for a guy who has now abandoned his team twice in two years. You truly want me to celebrate the ‘Tampa Bay” career of a guy who berated a man and his son after they made an honest mistake during a home game. Most of Percival’s player success happened even before he put on the Rays jersey. Maybe he needs to be celebrated in Anaheim and not Tampa Bay, where he made his reputation. Sorry Joe, I know you had a front row seat to the post season records set by Percival when he was with the Angels, but here in Tampa Bay, I still see his legacy as an unfinished story. If you really want an ending, maybe he should submit those retirement papers and release the Rays from holding a 40-man roster spot with his name on it. I know he has a million reasons to not consider that option. But, I think that is what you would expect a true professional to do.